Syonide is dead and she better not be revived because I will be pissed. I needed to get that out of my chest and also, answer that question for all the inquisitive minds. So who is the "new" head honcho of side-kicking for Tobias you ask? None other than the handsome (only on this show) Khalil aka Painkiller. 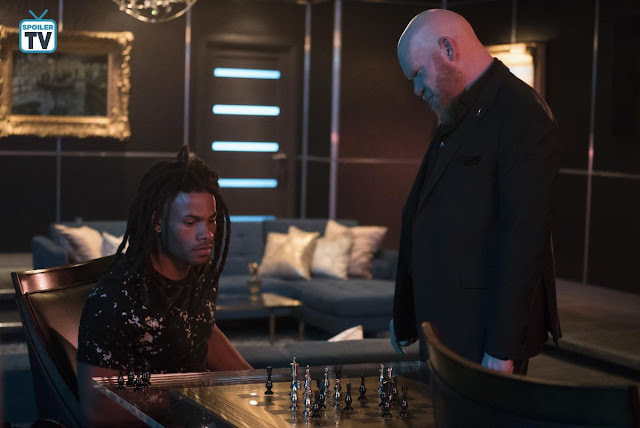 I bet you know all this by now but stay with me here for a bit because this new episode starts with an intense scene between these two people as they play chess. I hate Tobias and when you watch you will see why also I hope you will join me and others in the “I hate Tobias camp” it’s large, and we bring donuts when we gather. All kidding aside, Painkiller will need some painkillers for sure after this first encounter since Syonides death. Tobias is grieving, and it is not the best time to come into his crosshairs so get ready for some fun. On the Pierces’ side of things, Jeff volunteered to step down as the principal and he gets to inform not only the staff but the students in a very emotional scene about his departure. There is a surprise and a twist though when he makes the announcement which honestly I think was clever on the writer’s part. There’s a really great interaction between Jefferson and Dr. Napier when he informs him about the new principal. It felt like just a real conversation between Cress Williams and Robert Townsend where a brother was being honest and real with another brother. 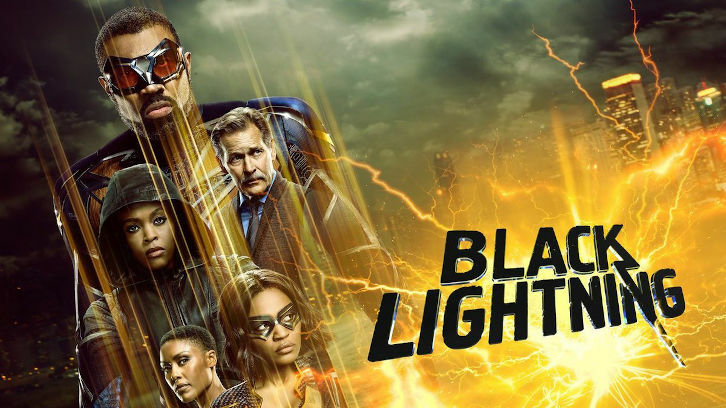 Thunder and Black lightning continue to work together to fight criminals and help the city, but Anissa’s powers have gone into her head. I am frustrated with her behavior, and I hope they quickly turn this around. We see her trying to have a life outside Thunder and medical school, but that will also be put to the test with the two women that her currently occupying her mind. I like Anissa and Grace together, Chenoa comes off like a player who will just break her heart but what do I know? 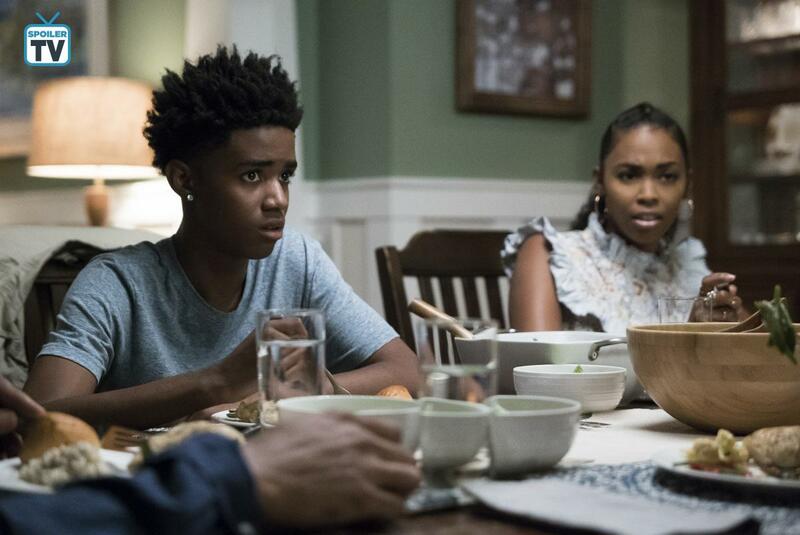 Jennifer and Khalil finally get to talk, and I don’t see how they can have a good relationship or a relationship if he is still working for Tobias. Khalil is conflicted, and when Painkiller is not controlling his mind, he is a good guy. I think they might make Issa a love interest for Jennifer, but I could be reading too much into a particular scene where the two talk. They reveal the powers that Issa has after a very uncomfortable dinner with the Pierces where tongues are not held back. Issa’s powers if not controlled might be dangerous for him, and he finds this out in a sad scene with Lynn. Speaking of Lynn does anyone else find her annoying? I mean I love that she’s a strong black role model on the show, but she drives me crazy with her smothering. It also looks like she’s moved in with Jeff and the girls, but maybe it’s just like friends with a lot of benefits type of deal they have going on. We get to see a glimpse of the kind of power that the pod kids have built up over time in a disturbing scene. This scene was also dumb, but I cannot say why because; SPOILER!. There’re deaths in the episode, several actually which is kind of the norm in this show but these deaths are very interesting because of how they happen. There you have it, a short preview of Tuesday’s episode which I thought was well done but required a bit of finesse in the editing department.